Blyth Town Barca U13 girls are looking for a defender who could follow in the footsteps of Lucy Bronze. The squad have just finished their trials and are beginning pre-season in the lead up to the new campaign starting in September. But they are looking for another defender to join the squad. Barca are looking to build on the performance by England in the Women’s World Cup where ex-Blyth Town players performed, including Lucy Bronze, who scored the goal of the tournament. Meanwhile the girls enjoyed an end of season trip to Blackpool where they spent the weekend at the Pleasure Beach for a day before playing in a two-day tournament where they won the Cup final after a thrilling penalty shoot-out. The girls also took part in the Newcastle United Women FC TOMA Charity Cup in Morpeth recently, which they also won after a penalty shoot-out. 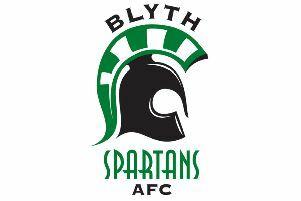 Anybody interested in joining the team can get in touch via www.clubwebsite.co.uk/blythtownbarca or contact the coach Johnathan Land on 07891 050492.